A special place where you immediately will come to rest and reflect on the essentials. 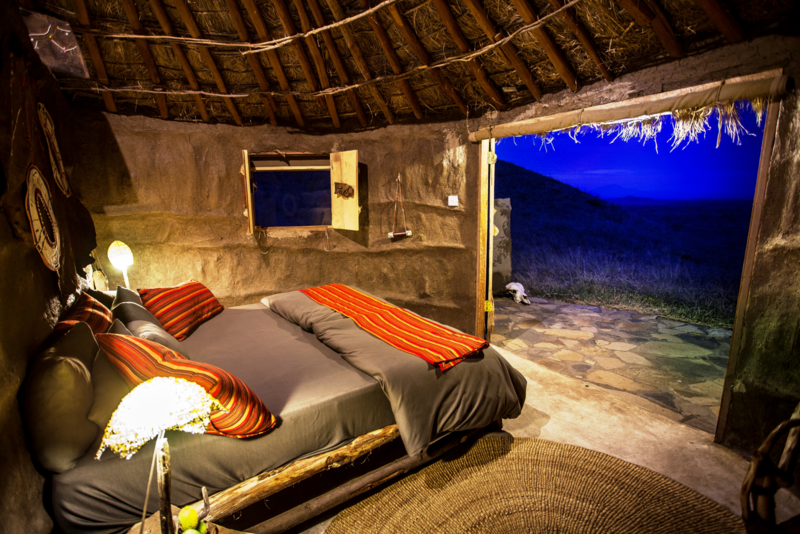 In the middle of the wilderness of the Maasai steppe are exclusive bungalows with hand crafted furniture. This is the right place to get to know the Maasai and their traditions and rituals, together with a slowing-down of your own lives’ pace. 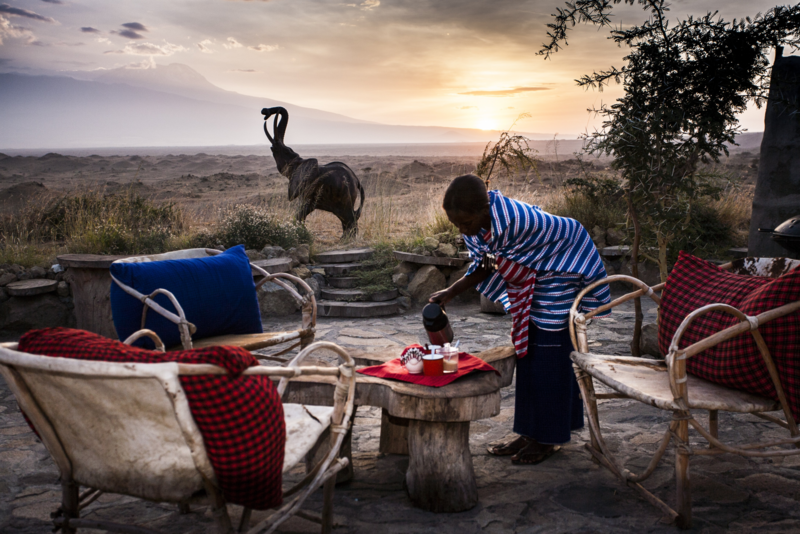 Enjoy the sunrise behind the Kilimanjaro on your terrace without having any neighbours surrounding you. International and traditional Swahili cuisine is served to you in the restaurant. Due to it's exclusive location only full board is available and recommended (there are no other restaurants in the area). Free activities such as spear throwing, dances, nature walks and talks around the bonfire will enhance your stay and help you to understand the life of the Maasai. To get some relaxation make use of our calm-down area, take a massage or enjoy a swim in the pool. 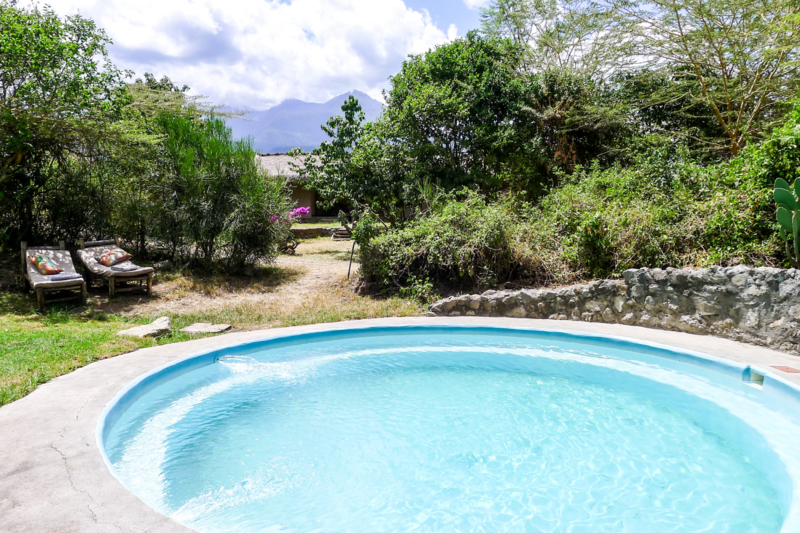 A powerful place all to yourself on the edge of Arusha National Park, consisting of two different sized holiday homes. Enjoy your private small pool and the personal attention of the driver, the cook (halfboard included) and your guide. Every day will welcome you with the breathtaking view of the Arusha National Park with Mount Meru, Mukuru and the calming atmosphere of the rainforest. Standard Holiday Home: 2-4 people. Superior Holiday Home: 4-6 people. Our Nature Homes and tents are in the midst of an acacia grove not far from the village Momella overlooking Mount Meru and Mukuru. These accommodations offer every comfort for a pleasant stay: They are all equipped with hot water, bathtub, internet access, large alcove and dining area on the veranda. 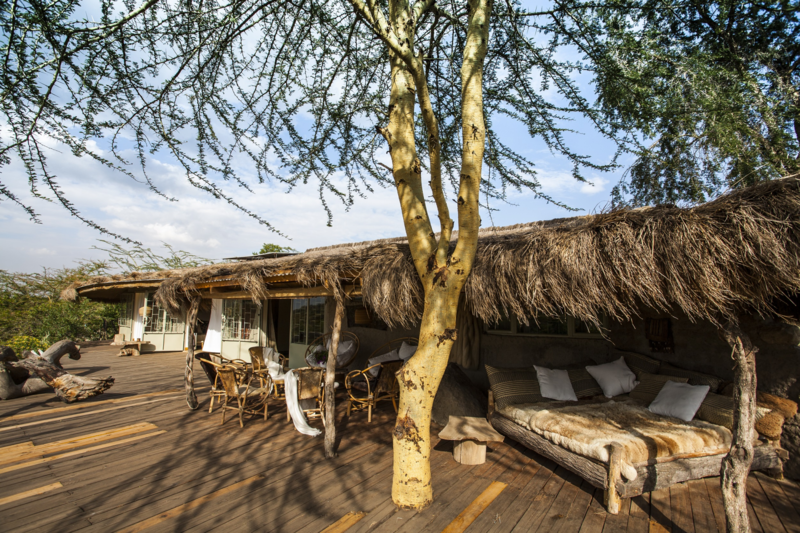 In the evening you can enjoy the carefully prepared food by the local cooks, while the African wildlife roams the savannah in the sunset. A sense of home in Africa.